Like any other Campagnolo part, this is of course more expensive than its comparable Shimano's. That being said, if you are reading this review you already know the benefits of the Italian brand. This chain will last thousands of miles and there is no reason if you ride Campy Record to save a few bucks by using a Chorus chain. In fact, I have both Chorus and Record group sets and Campy Record chain is what I use for both. Long lasting, quiet, and reliable. Campagnolo parts are expensive but they last. I rode from LA to Boston and was one of two riders riding Campy when the other 13 riders had another brand. I was also one of only the same two riders who did not have to replace the chain while on tour. I clean the chain and the cassette on a regular basis and after almost 5,000 miles, it is not even close to needing to be changed. Its not just a chain its a Campy chain with hollow pins. Campagnolo is always good stuff, everyone knows that. 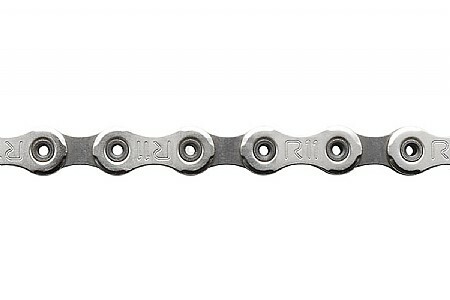 Campy chains are expensive, yes, but if kept clean and properly lubricated, the cost of these chains is pretty minimal. They work great. After all, Campy is Campy.